The Utah Jazz and Houston Rockets have quite the NBA Playoff history. Most recently, just last year, the Rockets sent the Jazz home packing in just 5 games. Will this year go any different? 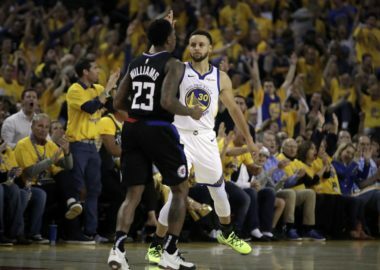 With tipoff for Game 1 of this series scheduled for Sunday, let’s take a few minutes to preview the history, the matchups, and what to look for before it gets started. These two teams have met 8 previous times in the NBA Playoffs. The Jazz have the upper hand, with a record of 5-3 so far. These prior matchups include the most iconic moment in Utah sports history, when John Stockton sent the Utah Jazz to the NBA Finals in 1997. I still get chills every time I watch that replay. Ten years later brought another memorable series between the two, when the Jazz defeated the Rockets in game 7 on the road. The Jazz made the conference finals that year, but were treated with the gentleman’s sweep by the Spurs. The Jazz and Rockets have met 4 times this season already. In what could be a foreshadowing of the series, the teams split the games 2-2. Utah won the first two and the Rockets won the second two. In total, the Jazz outscored the Rockets 413-407. Not every game was close, but overall these two appear to be. The even each won one road game and one home game. Both teams are also peaking at the right time. The Rockets have the best record in the league since the All-Star break at 20-5, but the Jazz are right behind them at 18-7 (3rd overall). Both teams made in-season acquisitions (Kyle Korver and Kenneth Faried) that played important roles to the success of their teams. One has the reigning MVP, the other the reigning Defensive Player of the Year. Both of which could repeat their respective rewards this season. This series is going to be a battle. Speaking of a battle, this series will be an interesting litmus test for the NBA to watch. Houston has the 2nd best offense in the NBA, with an Offensive Rating of 115.5 according to Basketball Reference. Utah, meanwhile, bodes the NBA’s 2nd best defense at a Defense Rating of 105.7. The counterpart for each team is also very similar. Houston’s defense is quite average with a rating of 110.7 (17th), as is Utah’s offense with a rating of 110.9 (15th). The chess match between two great coaches to exploit weaknesses and negate strengths is so fun to watch over a 4-7 game series. Mike D’Antoni and Quin Snyder are getting familiar with each other, which only adds to the drama. So which will win out, the elite offense or stifling defense? This will be the most intriguing aspect of the series to me. I’m going to take a non-traditional approach to describing the key matchup of the series. It would be easiest to look at shooting guard, where Donovan Mitchell and James Harden will be head to head. You might also look at point guard, where Ricky Rubio missed last year’s series and Chris Paul destroyed the Jazz. Or even at center, where up and comer Clint Capela vs. Rudy Gobert will be fun to watch. But I’m going to go with Derrick Favors and PJ Tucker. Both of these players are arguably having the best season of their careers. The box score won’t show that, but these two help their teams win. However, they do it in significantly different ways. Tucker is undersized, but helps stretch the floor with good outside shooting. Derrick Favors is one of the few remaining traditional power forwards in the game. So, I ask again, which will win out? Will Tucker force Quin Snyder to change his rotation or even starting lineup because the Jazz can’t defend well enough? Or will Favors and Gobert punish the small Rockets front court with easy buckets at the rim and second chance points? Last year was brutal. The Rockets just took it to the Jazz and ended the series before it ever really started. These two teams brought mostly the same rosters back, so why should it be any different this year? First, Trevor Ariza was a much more significant loss than Houston expected. 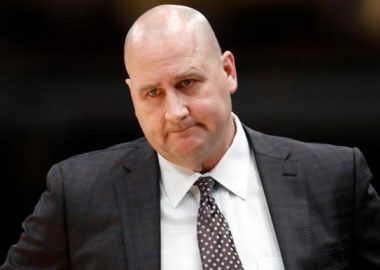 He harassed rookie Donovan Mitchell all series. Now that rookie is a sophomore and Ariza is on a different team. Mitchell should be more prepared for this first round and Rockets don’t have a high quality wing defender anymore. That alone will influence the series in Utah’s favor. The Jazz can defend James Harden. At least, they were able to last year. They held him way below his season averages, especially from 3. Quin Snyder was able to scheme against Harden effectively, bringing his series shooting down to almost 40% from the field and under 30% from 3. But Chris Paul more than made up for that. CP3 looked as good as ever, and his mid range game was automatic. He killed the Jazz to the tune of 25 points, 7 rebounds, and 6 assists a game and over 44% from 3. That said, Chris Paul of last year is not the same as the Chris Paul of this year. His scoring has dropped, but more importantly, so has his efficiency. His scoring and possible shooting are the worst of his career. Does he have another level in him now that the playoffs are starting? That’s certainly possible. But if he doesn’t, and the Jazz are able to control Harden again, this could be a very different series indeed. Honestly, I don’t expect the Jazz to win yet another 4-5 series without home court advantage. They’ve done it 4 times since 2006 alone, including both of the last two seasons. Eventually that’s going to catch back up to them. Nonetheless, I cover the Jazz and feel good about their chances. Of the underdogs in round 1, Five Thirty Eight gives the Jazz the best chance to move on at 36%. I think that’s a touch low and would put it at 60-40 in favor of the Rockets. Naturally that means I think the Jazz will win another dramatic game 7 in Houston like they did back in 2007. I see them coming out for revenge from last series, Rudy Gobert in particular. Even if the Rockets are able to win the series, I’m confident it won’t be as easily as last season.